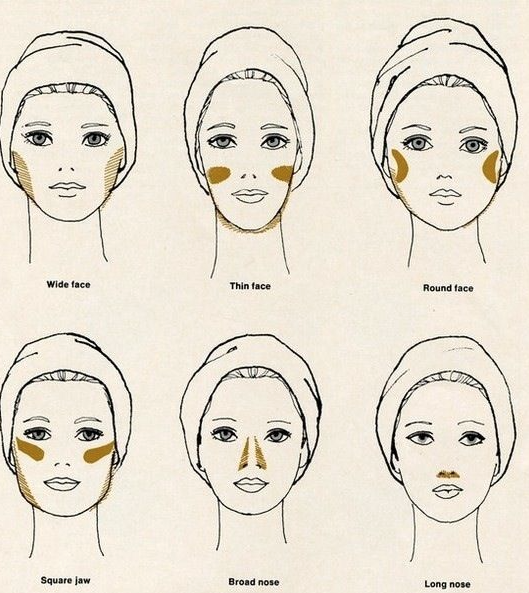 If you are new to contouring and trying to figure out the best contouring for your face shape. I found this great poster online to help you. Keeps me right. I have quite a wide face-my sister says it's 'heart shaped'. I probably try to contour the areas specified in picture one but also incorporating shading around my nose to make it look thinner, as shown in picture five. I completely believe in trial and error. I will get it right one day I'm sure. One thing to remember is to blend properly, there's nothing worse than harsh contour lines. Keep blending for a natural, softer finish. I find the Naked Basics palette hosts great contouring shades - eyeshadows I know, but also great for shading. What face shape do you have? Please share your hints and tips below. Oh my goodness I needed this! I've been wanting to do some contour for ages but I've been really worried about getting it in the wrong place! Thank you so much for sharing the poster!